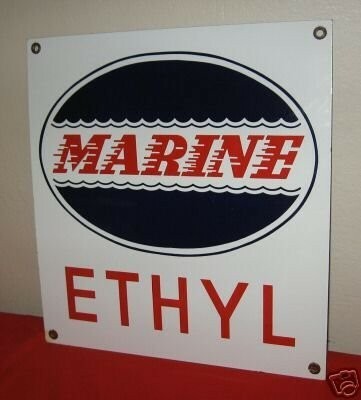 Measuring a small 14″ by 15″, this Marine Ethyl sign is red and navy blue. The background color of the sign is white. The word “Marine” is written on what looks like a wave. There around mounting holes in the corners.